The packable AlphaTauri Taurex® jacket OPACK is the perfect companion for all who are always on the move. 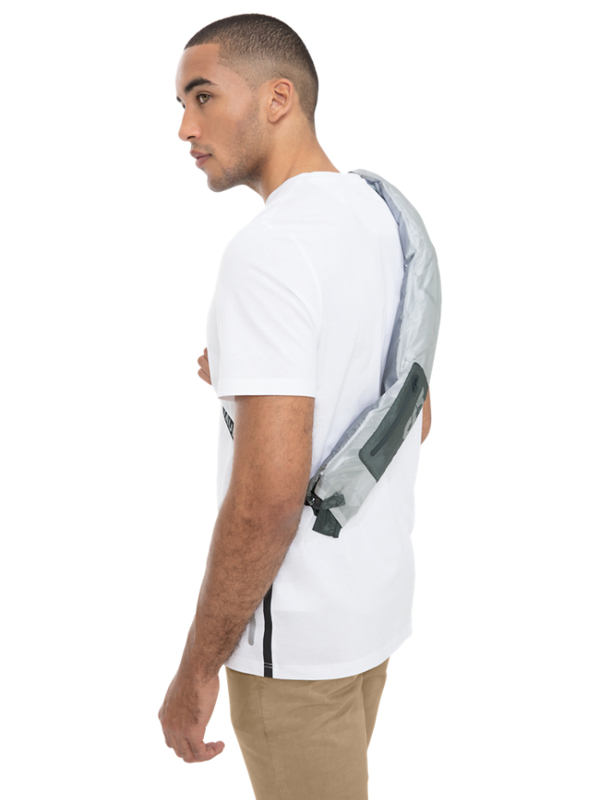 It surprises with a new packing system featuring an integrated cross-body strap. The zip-away hood can be concealed in the collar and taken out when the wind picks up. The reflective logo on the sleeve as well as the high-quality reflective piping along the Metaluxe® front-zipper add a technical look to this relaxed yet athletic style. Its classic blouson fit and the subtle branding details turn it into a casual allrounder.